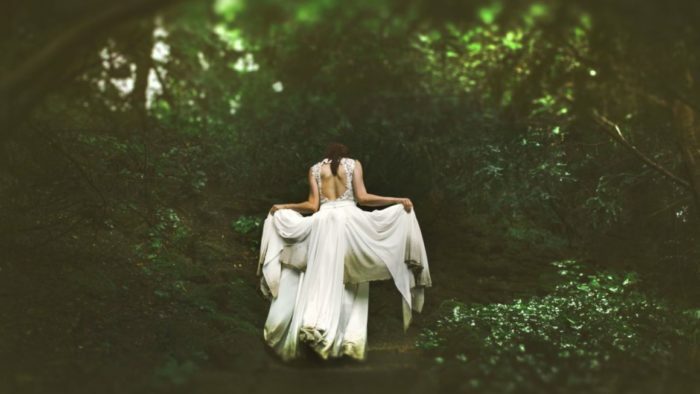 Once you have found the dress of your dreams, it’s time to focus on other gowns that will be a part of the wedding. That’s right, the bridesmaid dresses! Undoubtedly, you’re aware of the classic joke that bridesmaids dresses are always, for lack of a better word, ugly. Obviously, you want to be the bell of the ball. But, part of that means being surrounded by some awesome-looking bridesmaids! But, how are you supposed to find the magical dress that looks good on everyone? Continue reading to find out. Obviously, you would want your dress to stand out amongst the crowd. 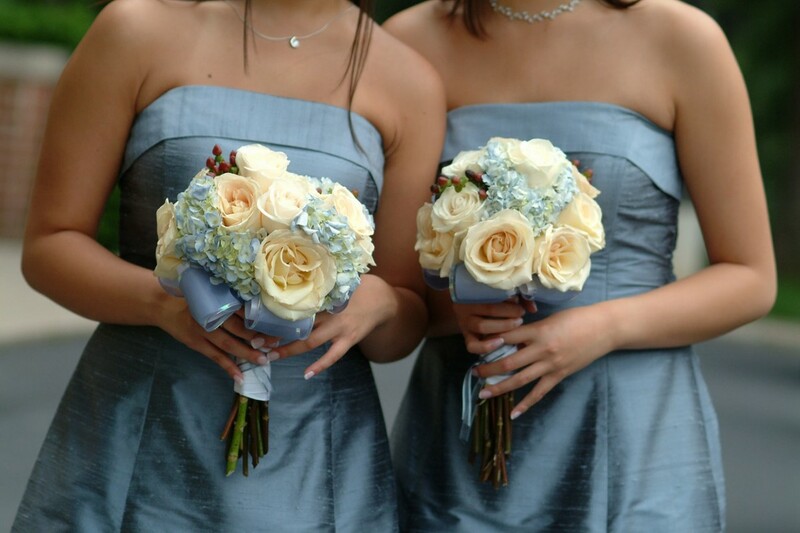 Therefore, choose bridesmaids dresses that complement the style of your gown instead of contradicting it. For example, if your dress is super extravagant, with lots of lace and frills, you may want to choose bridesmaids dresses of a simpler style. Otherwise, everything will look too busy. So, before deciding on the exact material or color, ask for swatches to compare them with your own dress. 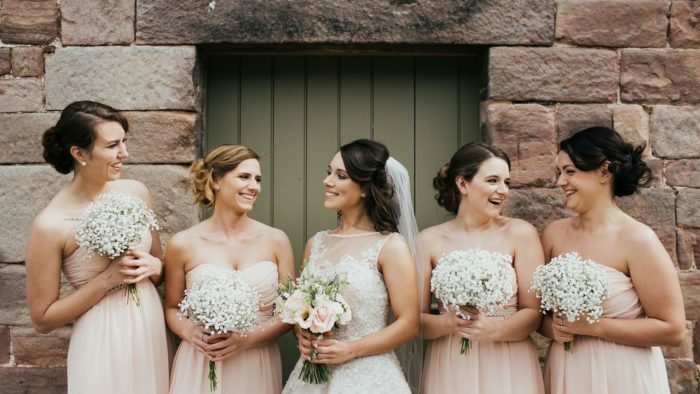 When picking out bridesmaids dresses, be mindful of the different body types and skin tones. You don’t want your bridesmaids to feel uncomfortable or insecure in their dresses for the sake of vanity. Trust us, this will show in the pictures! Therefore, make sure to pick styles that are universally flattering, such as an A-line style dress. 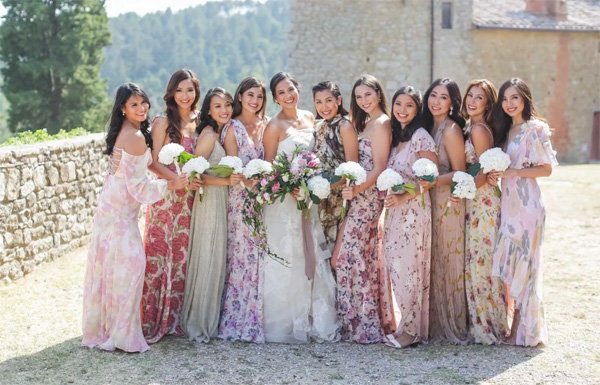 Unless you’re a super control freak, letting your bridesmaids pick their own dresses can be a great idea, especially if your girls have a diverse range of looks. This doesn’t mean you need to give them full reign, don’t worry. Instead, you could pick one or two coordinating colors for the bridesmaids to choose from. For example, light pink and gold. You can also tell them the length you’d prefer the dresses to be. Of course, before you send them shopping, make sure they know you’ll still want to give final approval before the purchase. And while it may seem like a bummer to be taking a step back from the selection process, there’s still lots of other apparel you can hand select for your bridesmaids. 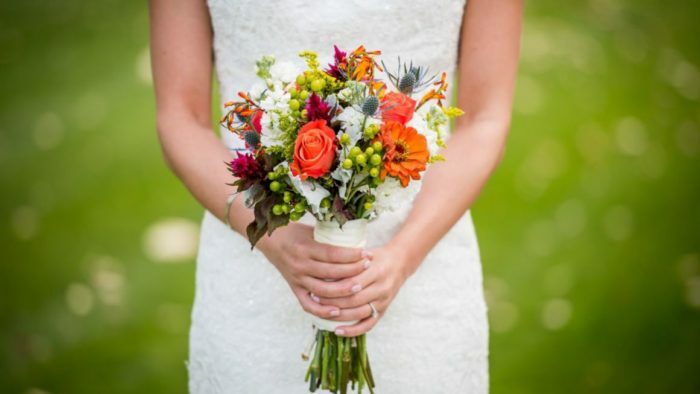 For example, you can let your creativity shine when choosing bridesmaids robes, sweatshirts, or jewelry. Remember, your wedding budget isn’t the only one to keep in mind for your big day. You need be mindful of the budget for your bridesmaids, too! While a dress for a couple of hundred dollars may not seem like a lot in comparison to what you’re paying, remember that your bridesmaids are also likely pitching in for the shower, bachelorette party, and wedding gifts. Plus, let’s not forget about the cost of alterations. Think about what you’d be okay paying if you were someone else’s bridesmaid. And, remember to also be mindful of the different salary ranges of your girls. Buying a bridesmaids dress is actually quite a lengthy process. Therefore, don’t put it on your last-minute to do list! Ideally, you’ll want to pick out the dresses 3-6 months or so in advance. This gives everyone plenty of time for alterations. Rush order options are typically available, but keep in mind that this will come at an additional fee.